Summer or winter, wild birds add color and interest to any yard, but keeping these flighty little creatures around isn’t always such an easy task. However, offering a bird house or two, a couple of trees, some bird feeders, some fresh water, and some wild bird seed on a regular basis, can help to ensure that your little visitors make frequent visits to your yard or garden. Since wild birds, especially song birds, add color, interest, and music to our daily lives, it only seems natural that some of us like to give them something in return, like some fine food to keep them healthy, and to help them through those cold winter days. Founded in 1894, Wagner’s soon became, and still remains, the largest and oldest privately owned bird seed company. A leader in the production and sale of high quality bird seed, this company prides itself on their high quality products. Sunflower seeds are a favorite of many different types of birds, and they are known to attract the largest variety of birds of any other single wild bird seed. So using oil sunflower seed in your bird feeders is sure to attract a wide variety of birds that are common to your area, whatever area you live in. Reviews for the Wagner’s Four Season Oil Sunflower Seed are exceptionally good, with people from all across the country using this particular seed. While one or two customers felt that these seeds had too much debris, most customers found very little or no debris at all in their sunflower seeds. Birds really seem to go after this seed in a big way. One customer actually referred to this seed as “bird crack”! Do keep in mind that while oil sunflower seeds attract a large variety of different birds, there are some birds that are not partial to sunflower seeds. Another great wild bird seed mix by Wagner’s is their 62059 Greatest Variety Blend. This mix really does contain the right seeds to attract a number of different birds to your yard or garden. Some of the interesting birds you may see (depending on the area you live in) will include: assorted breeds of Sparrows, Gold Finches, Buntings, Blackbirds, Bobwhites, Blue Jays, Cardinals, Woodpeckers, and even Quail. Customers rate this Wagner’s 62059 Greatest Variety Wild Bird Seed Blend extremely highly, and find that it works well in their bird feeders. A U.S. company, Kaytee has become a leader in the bird and small animal food market, producing healthy food for pets, such as hamsters and gerbils, as well as both domestic and wild birds. One of their top products is their Kaytee Wild Bird Food which comes in a 20 pound bag. This bird seed blend does have a number of seeds that will attract a large variety of birds, such as Cardinals, Blue Jays, Woodpeckers, Quail, Cowbirds, Gold Finches, Buntings, Pine Siskin, and Red Winged Blackbirds, to name just a few. Reviews for this Kaytee Bird Seed are quite good. While a few customers complain that there are too many small seeds for their birds liking, most customers find that this mix works really well for the area in which they live. Founded in 1868 in Marysville, Ohio, Scotts Miracle Gro has long been a strong resource in helping people to achieve the grassy lawns they so enjoy. While it may come as a surprise, this company also manufactures and sells bird seed under the brand name Morning Song. 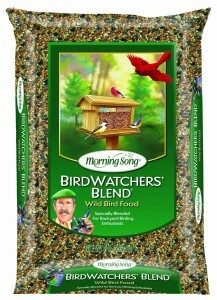 One of their more popular seed products is the Morning Song Bird Watchers Blend. This bird seed blend has a nice variety of seeds that are sure to hold appeal for a number of different birds, including Cardinals, Red Winged Blackbirds, Gold Finches, Woodpeckers, and many more hungry and colorful birds. While there aren’t a lot of reviews available for this Morning Song Bird Seed Blend at present, the ones that can be found are quite good. Pennington opened its doors in 1945, and today it is one of the most reputable grass seed suppliers in the country. Of course, since seeds are this company’s main business, it seems only natural that they would branch out and develop a wild bird seed blend that birds would love. 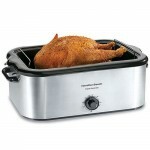 In doing so, they created the popular Pennington Ultra Waste Free Blend Bird Seed. This bird seed blend seems to have a little bit of everything that most birds would love. It’s nice to find a seed blend that some real fruit, which is very healthy for the birds. 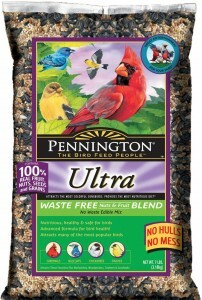 This Pennington Ultra Waste Bird Seed Blend gets good reviews from customers of this seed, although many state that the birds in their area are not crazy about the fruit. This could be true, but the fruit will appeal to birds in other areas. 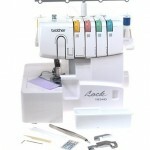 Customers also feel that this blend is tad bit expensive. Overall, it is nice to know that there are so many different varieties of wild bird feed that is affordable, and that your feathered friends will enjoy. Filling your bird feeders with some top quality seed will keep those feathered friends coming back to your yard or garden time and time again.